Built for performance. 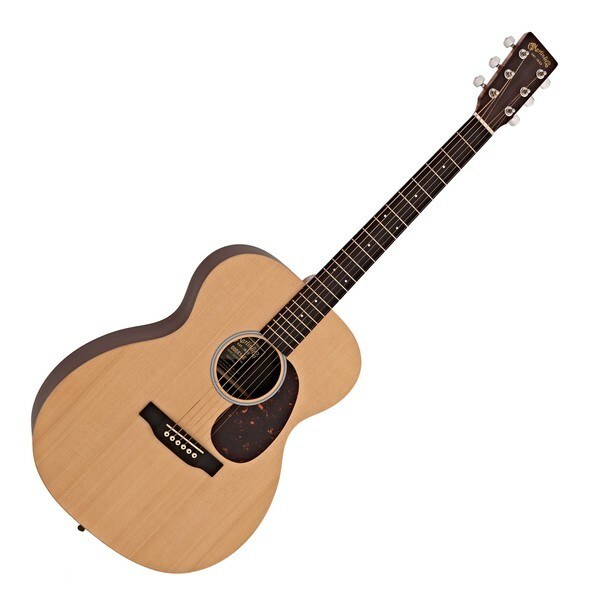 This guitar is the answer to the prayers of any musician looking for beautiful, natural acoustic tone that can be delivered with power in venues of any size. The Martin 000X1AE Electro Acoustic will give you a wide-reaching tonal range, excellent playability, and amazing acoustic sound even at the highest of outputs. Play with volume and dynamism. 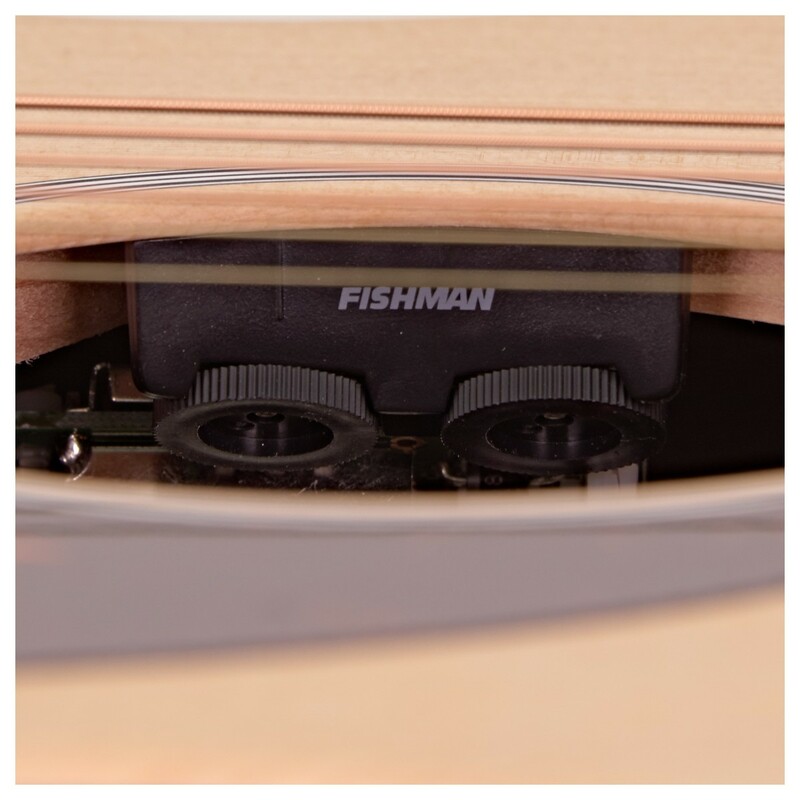 The 000X1AE's Fishman Sonitone pickup can communicate the authentic acoustic tone of your guitar at high output without ever losing quality or warmth. This is ideal for live shows. X-bracing provides wonderful resonance when you're not plugged in, and a tapered neck feels at home in your hands. A flawless electro acoustic. A tonal palette to give you unparalleled beauty in sound. 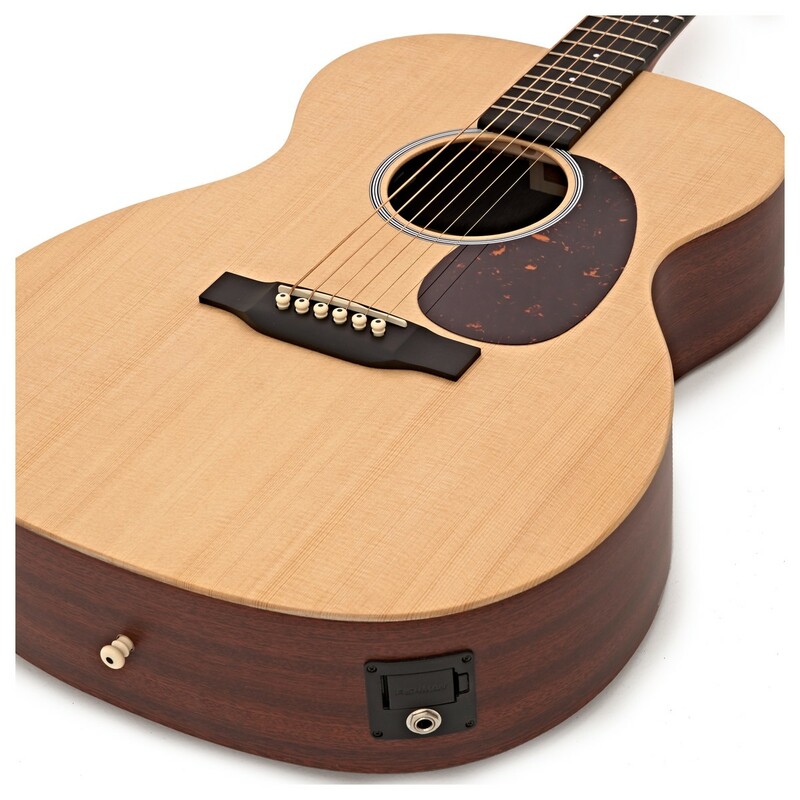 The 000X1AE Electro Acoustic is crafted with a stunning blend of tonewoods to provide you with an amazing tonal range. Sitka spruce used for the guitar's top and bracing is incredibly responsive, and will respond well to any playing style. It's also brilliant for adding brightness to your playing at the high end. You'll have wonderful depth, too. 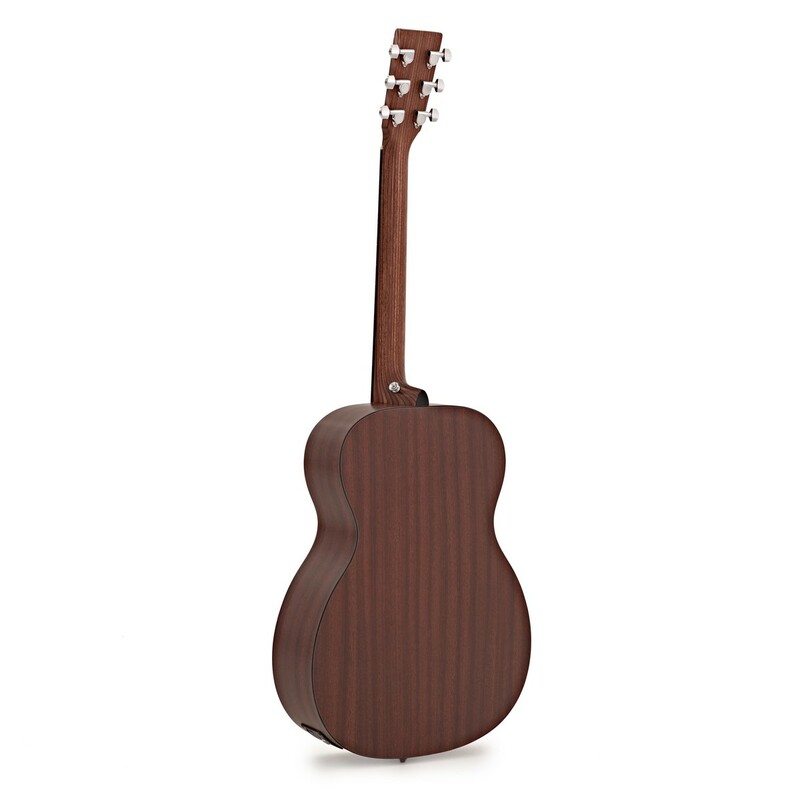 High performance laminate used for the guitar's back and sides is strong, durable, and has a superbly rich quality. As a result, low-end chord playing will always sound full and rich. An electronic system that retains your natural acoustic warmth and resonance. The Martin 000X1AE comes fitted with a superb Fishman Sonitone preamp that delivers everything you play with industry-leading clarity. Many electro acoustic pickup systems fail to provide authentic acoustic sound when playing at high volume. This is not a problem you'll ever have with the 000X1AE. The Sonitone's active electronic pickup system is designed to communicate your guitar's exact voice at high output. This makes the guitar superb for live performance in larger venues. It's an instrument that'll never make you sacrifice warmth or fidelity. The Martin 000X1AE guitar will respond perfectly to your individual playing style. 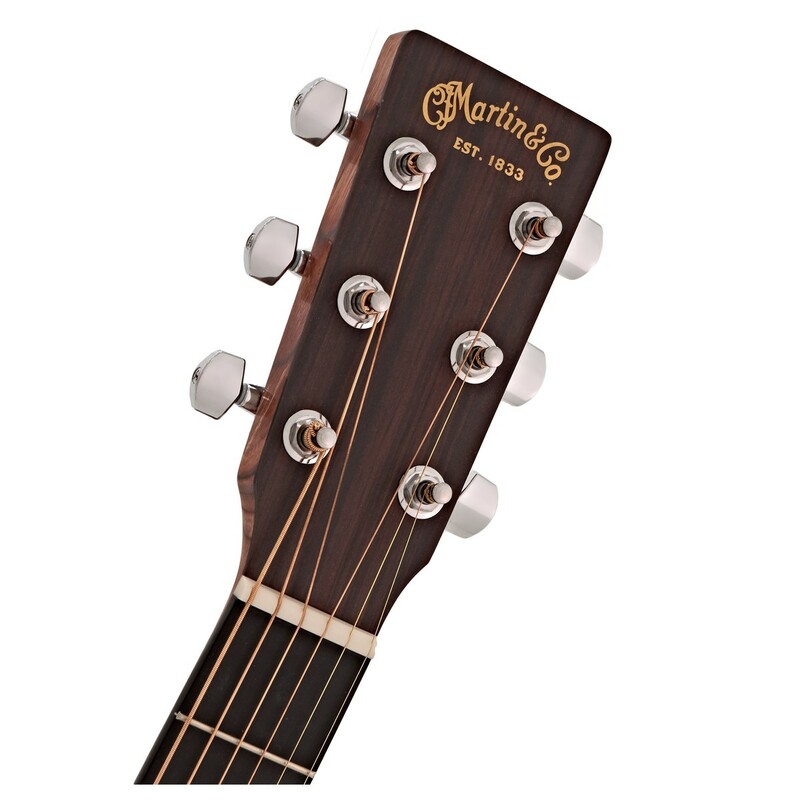 Martin have used their immense guitar manufacturing knowledge to give you the very best playing performance. A high performance taper neck will provide you with comfort like you've never had in an acoustic guitar before. The narrow profile of the neck will fit impeccably in your hand, eliminating cramp and making it easier for you to play for long periods of time. That's not all. You'll enjoy a beautifully smooth playing action, too. Rust Birch Laminate used for the guitar's neck has a wonderfully sleek quality, meaning you can effortlessly glide up and down the guitar's scale without interruption. Ideal for fast-paced chord sequences. It's all of this that will make the 000X1AE the most playable instrument you've ever had the pleasure of using. A full, natural sounding acoustic voice. The Martin 000X1AE gives you massive sound, even when it's not plugged in. Non-scalloped X-bracing across the guitar's soundboard allows the top to vibrate freely, enhancing overall sound to deliver a rich, loud acoustic performance.